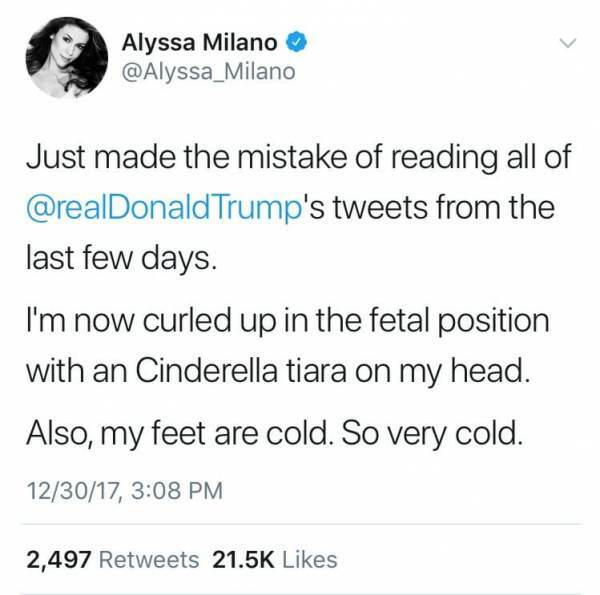 Ultra liberal crank Alyssa Milano completely melted down Saturday after reading Trump’s tweets. 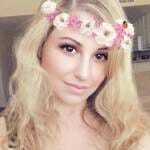 The washed up actress said she ended up in a fetal position wearing a Cinderella tiara after reading some of President Trump’s tweets. Below is a screenshot of Alyssa Milano’s tweet just in case she deletes the post. FYI, Alyssa Milano is a grown woman and a mother. Let that sink in. Just made the mistake of reading all of @realDonaldTrump‘s tweets from the last few days. I’m now curled up in the fetal position with an Cinderella tiara on my head. Celebrating the arrests of MS-13 gangs and reducing ISIS to a fraction of what they were under Obama is what sent this liberal lunatic over the edge.